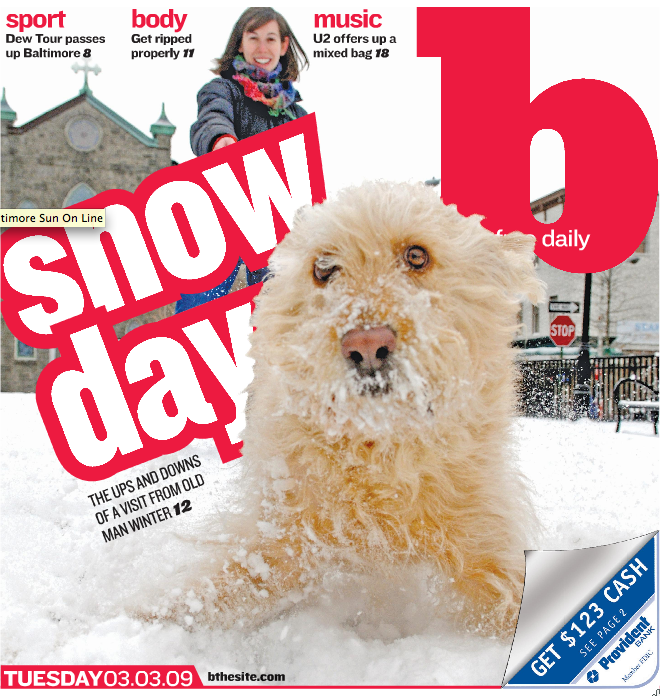 Natty made the cover of the Baltimore Sun’s b free daily today! b staff loved your dog even more when we found out her name. Natty Boh — whoud couldn’t love that. We are always looking for fun pet pictures! If anyone has them e-mail them to heard@bthesite.com. Glad you had fun in the snow!